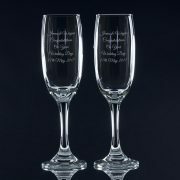 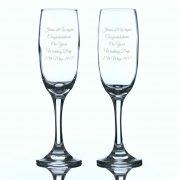 Modern pair of champagne flutes personalised to suit any special event or occasion. 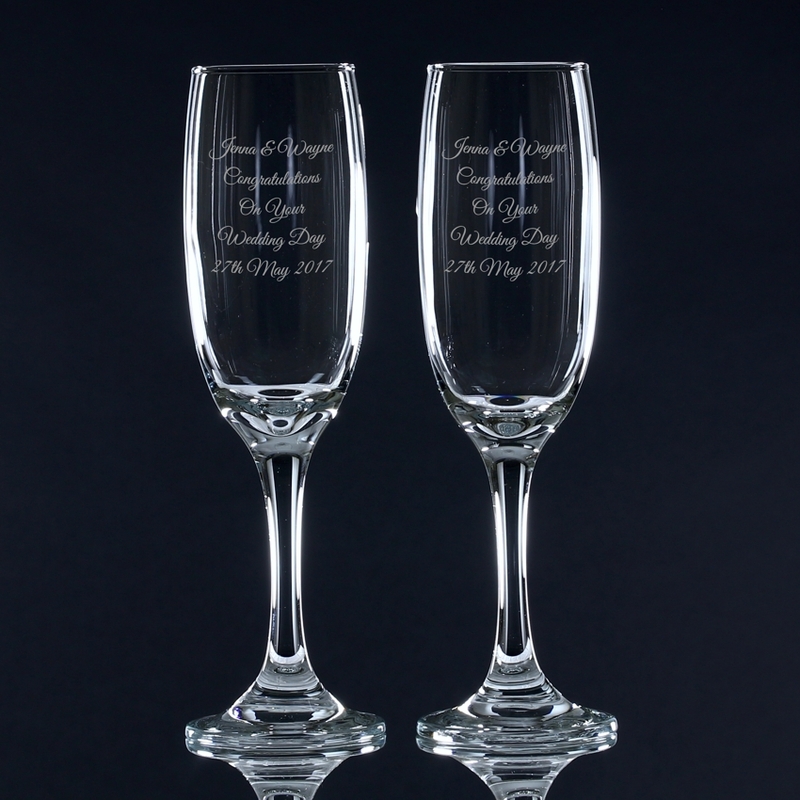 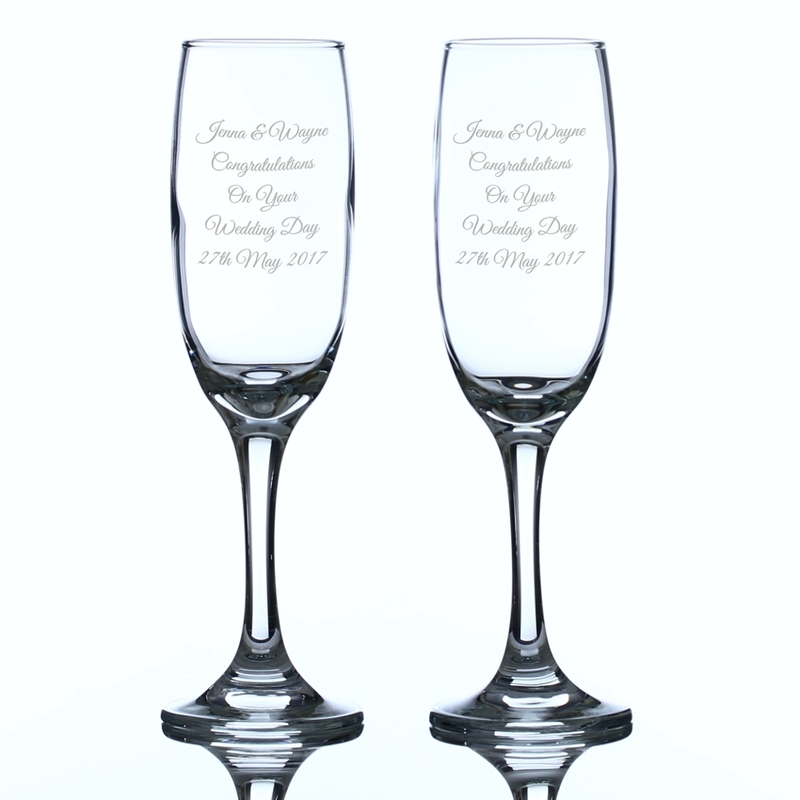 This beautiful pair of modern champagne flutes make a wonderful personalised gift to present to the Bride and Groom on their wedding day. 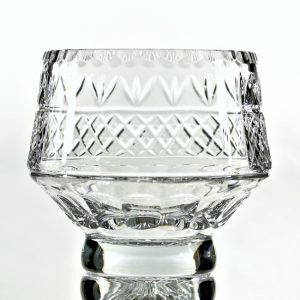 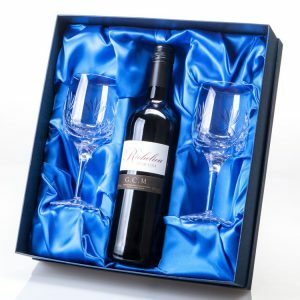 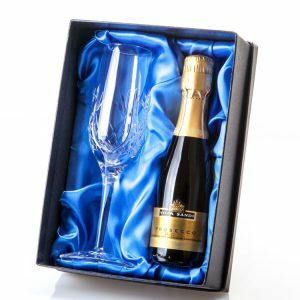 Supplied in a quality satin lined box, you can add a personal message to each glass to make it special for whatever occasion or celebration. 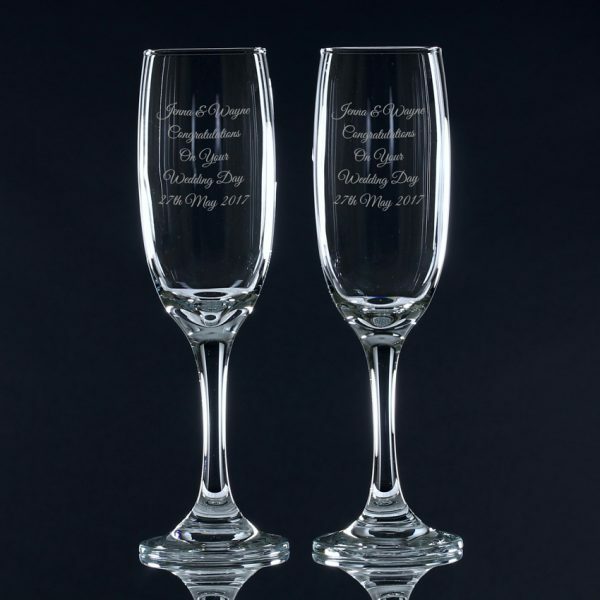 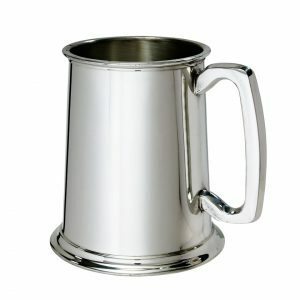 With a choice of fonts available, this will surely make a treasured and unique keepsake that will be displayed with pride of place.